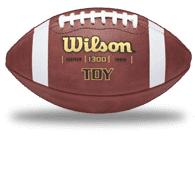 Celebrate your favourite team, a special occasion, or on-field achievement with a genuine leather Wilson Custom Football. Our in-house personalisation machine can laser engrave any team logo or text of your choice. 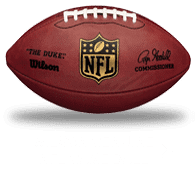 Note: Wilson Genuine NFL Game Ball is the only football which allows NFL Team Logo engraving. 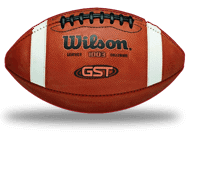 We can engrave your team logo on to any of the footballs listed above (excluding NFL Duke Game Ball). 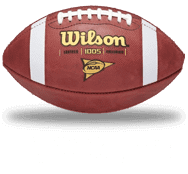 Minimum order of 3 footballs. Simply upload a high resolution copy of your team logo and your 2 lines of customised text (if required). Once your enquiry is received a member of staff will contact you to raise the order and arrange payment.